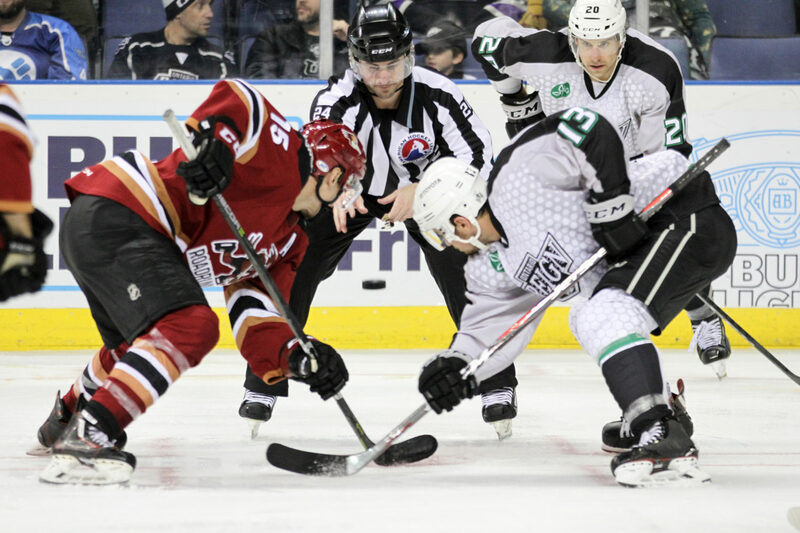 The Ontario Reign played in another high-scoring affair but fell for the fourth time in a row at home, this in regulation, in an 8-5 defeat against the Tucson Roadrunners. Ontario fell behind early into a three-goal deficit inside the game’s first six minutes that it was unable to recover from. 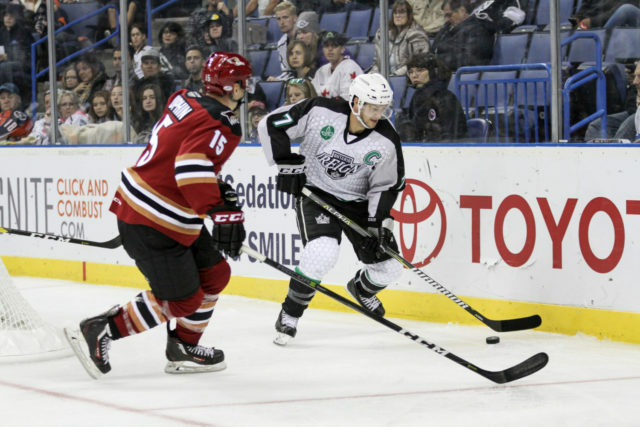 The Reign pulled to within a pair of goals four times (3-1, 4-2, 5-3, 7-5) but were not able to get any closer, conceding each time after moving within striking distance. 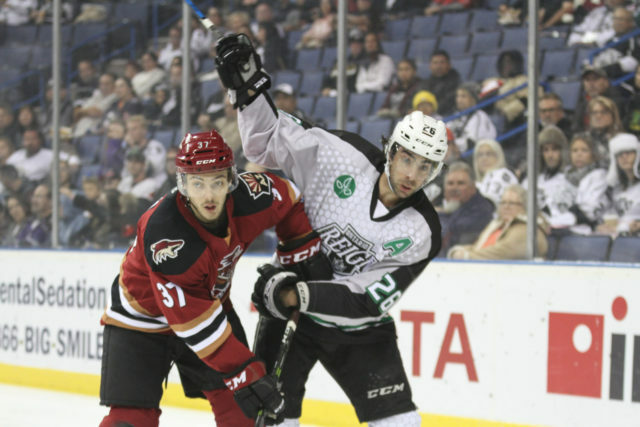 Tucson forward Conor Garland paced the visitors with five points (2-3-5), while forward Matteo Gennaro had a hat trick and forward Mario Kempe chipped in three assists. 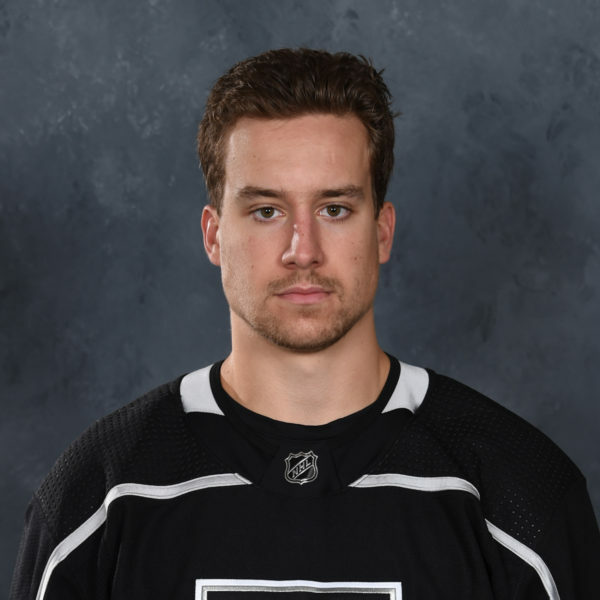 Forward Matt Luff paced Ontario with two goals and an assist, while defenseman Alex Lintuniemi and forwards Emerson Etem and Zack Mitchell also found the back of the net. On the positive/cool side, Etem’s goal was a beauty – spun around in the slot and whacked a moving puck out of mid-air in one motion into the back of the net. 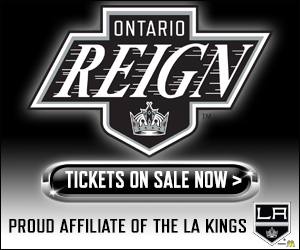 For the Reign, the loss is their sixth in a row, their fourth in a row at home. The regulation defeat also snapped a three-game point streak at home, with the three prior losses coming in either overtime or the shootout. 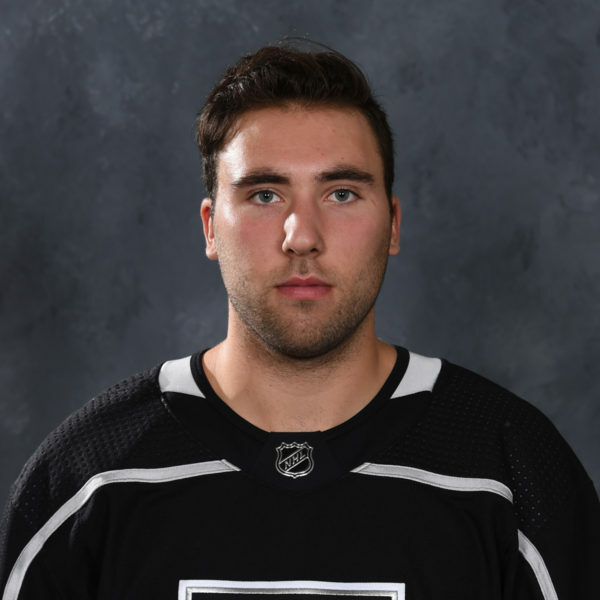 A bright spot in defeat was the Ontario penalty kill – The Reign had previously conceded a power-play goal in each of its eight games, but was a perfect 7-of-7 tonight and the hosts also scored a shorthanded goal. 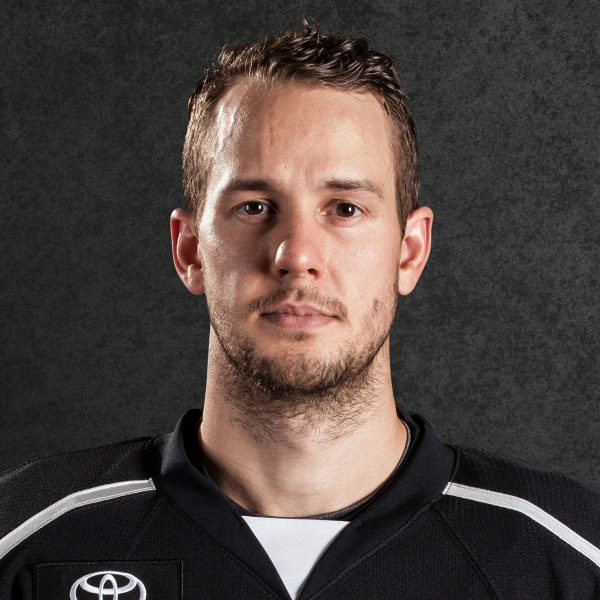 The negative side of that stat is that the Reign took seven penalties, as Mike Stothers addresses below. We teased ourselves with thinking that we were coming back, and then, you know, we’d stumble again and find a way to give Tucson an opportunity that they capitalized on. You fall behind and you try to play catchup and it’s a slippery slope that you don’t come up. Another tough lesson learned. Well, it’s frustrating to continually do that, but you’ve got to look at it like we’ve got a project here. There’s a team to build and there’s guys that are still feeling their way, so we knew it wasn’t going to be easy, but we’ve got to find a way to stop making it so hard on ourselves. It’s hard enough to win in this league to begin with. It’s not like we mean to do that, it just happens and it’s a part of the process. It’s got to be mental. You’re responsible for making sure that you yourself is ready to do your job, your assignments. We get caught napping or hesitant or forgetful or whatever it is and it usually costs you. But that’s why they’re in this league, that’s what they have to learn. In the NHL, you don’t get a second chance, you just get sent back down. So that’s what we’re dealing with and it’s a new thing for all of these guys. You get into it together and you get out of it together. Well, yeah, you certainly want to find something to use as a positive, and I guess there’s the fact that they were 0-for-7, but the other side is that we took seven minors. That’s too many. 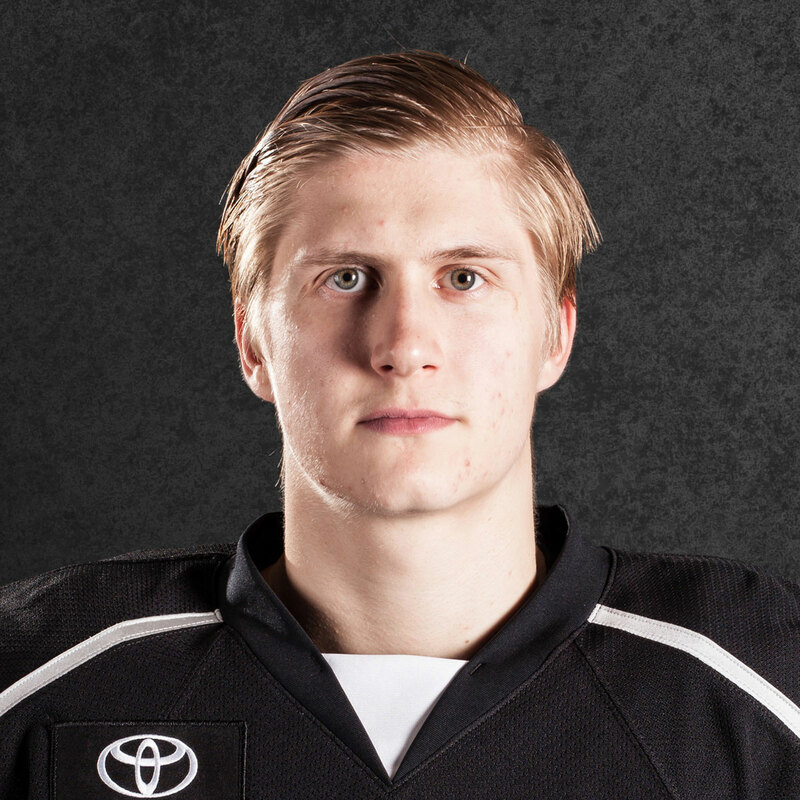 Again, you talk earlier about flirting with disaster, you keep taking penalties and you’re going to get scored on. We weren’t moving our feet, we weren’t skating so we deserved what we got tonight.